Amaranthus albus.Regina O. Hughs.New England Wild Flower Society.gobotany.newenglandwild.org (Accessed 12/2014). 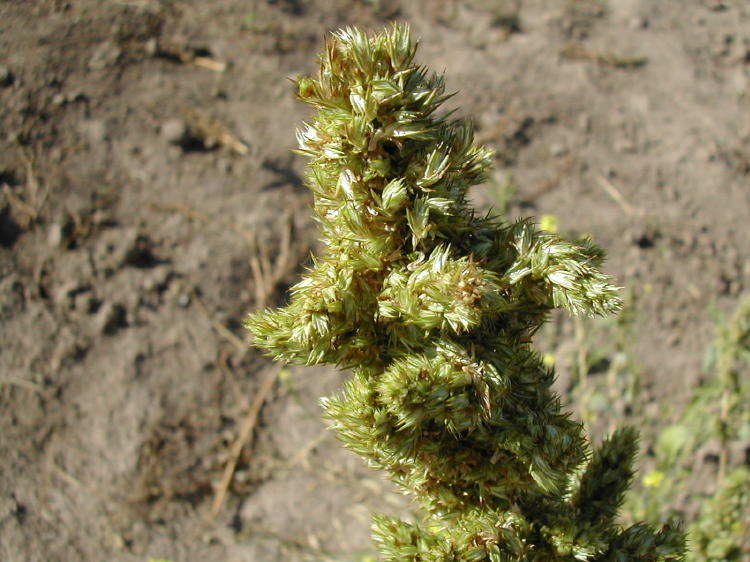 Amaranthus retroflexus inflorescence. Dr. James Altland Oregon State University North Willamette Research & Extension Center. oregonstate.edu (Accessed 8/017). 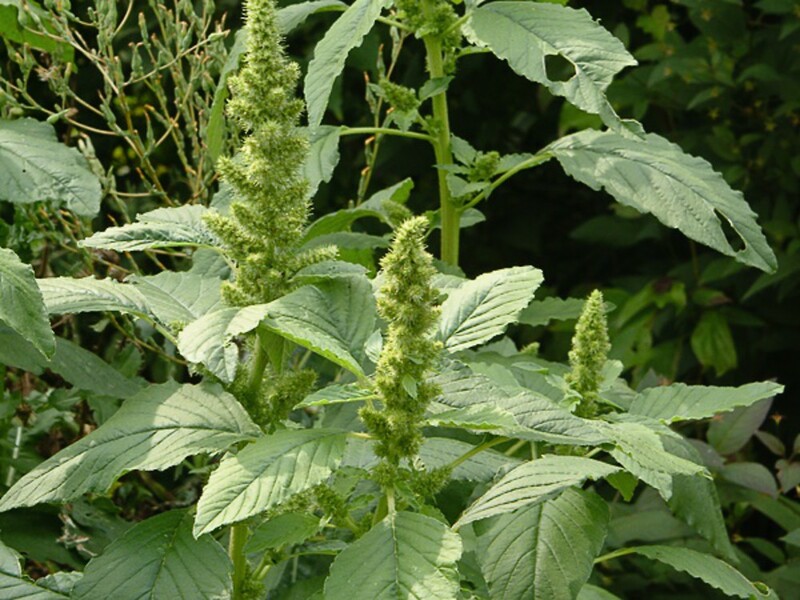 Amaranth genus are annual C4 herbs, usually much branched. 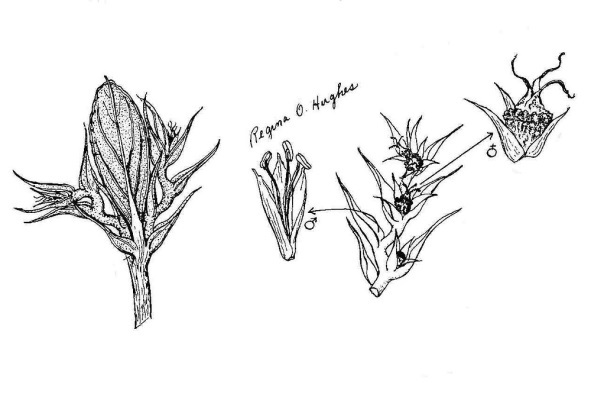 Leaves alternate, stalked (petiolate), entire or with a wavy margin (sinuate). Flowers very small, radially symmetrical, subtended by bracts, no petals, sepals dry, membranous; inflorescence of dense clusters (glomerate). 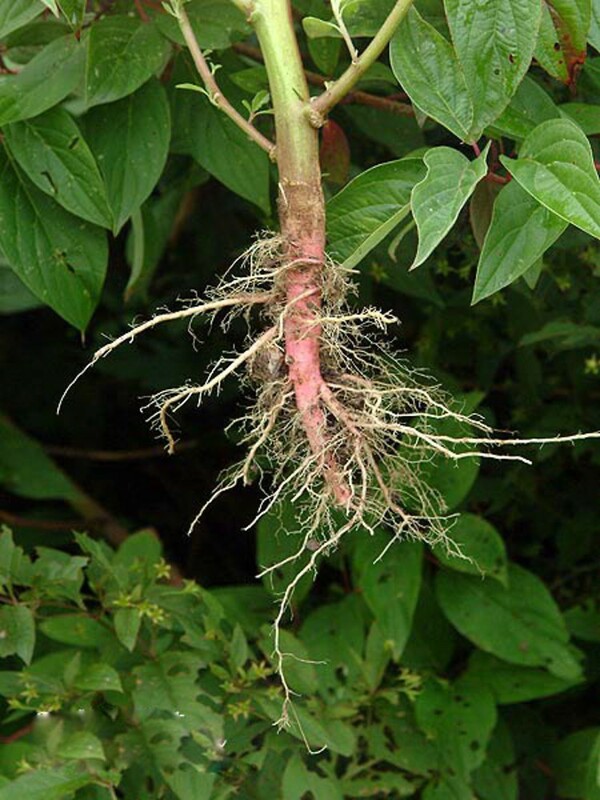 Amaranthus retroflexus roots. By Paul S. Drobot. Copyright © 2017 Paul S. Drobot. Robert W. Freckmann Herbarium, U. of Wisconsin-Stevens Point. New England Wild Flower Society. gobotany.newenglandwild.org (Accessed 8/2017). Fruit dry, small, thin-walled, 1-seeded, with a crown of dry stigmas.